I posted how I love ASICS WALKNG shoes before because its shoe sole is so soft and it has nice cushions to protect my knees. I cannot wear other than ASICS WALKING shoes now. 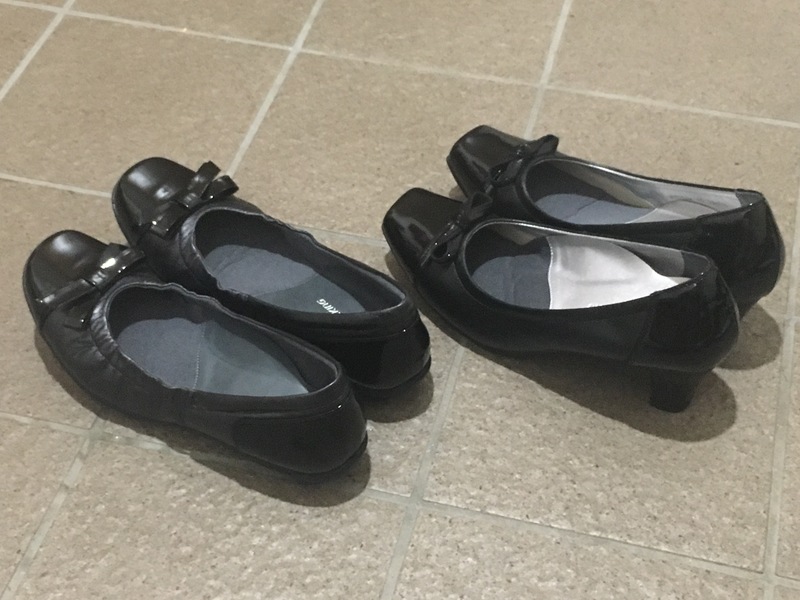 I wore a black pair on Sunday. Mom tried my shoes and she likes it very much because it fits her nicely. She asked me to leave the pair for her. Logically, it’s possible because we are biologically same: mother and daughter. Tonight, I went to a new location of Ginza Store: EXIT MELSA 3rd Floor, Ginza, Tokyo, to buy a pair of black shoes. I requested to measure my both feet to place cushions according to shape of my foot.